2-piece set. 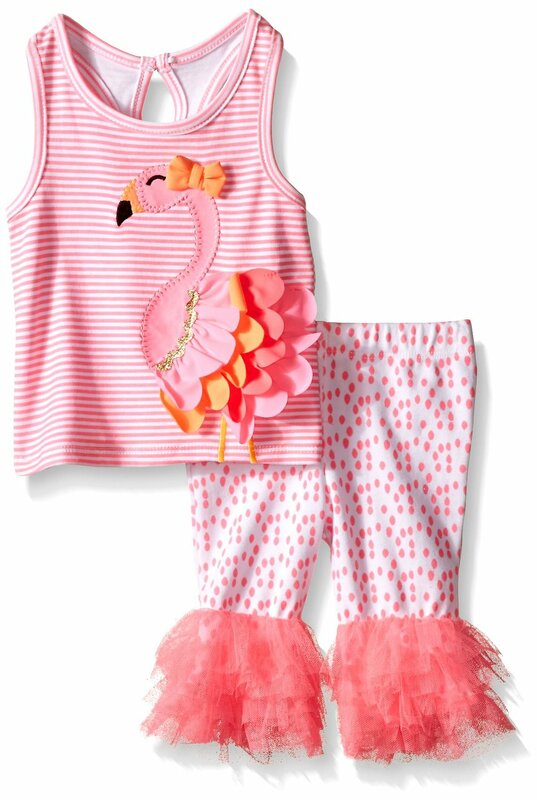 Printed interlock top with layered nylon spandex flamingo applique features grosgrain bow and tiered mesh back detail. Comes with printed interlock leggings with mesh ruffle cuffs.